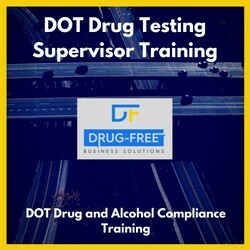 We offer DOT drug and alcohol training for supervisors and employees. Our training meets DOT training requirements and saves you time on admin work, since we take care of it for you. Browse our training below. 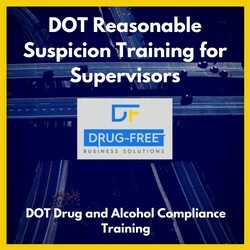 The DOT Reasonable Suspicion Training for Supervisors Program meets DOT training requirements, saves you time on administrative work and ensures supervisors learn well with our interactive and engaging training. Also, receive customized certificates for each trainee when they finish. We moderate their progress to make sure they met the necessary seat-time requirements. 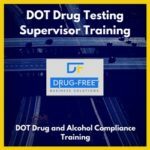 Don't wait until you're in trouble with the DOT to get drug and alcohol training. Choose from our online and CD-ROM formats today! 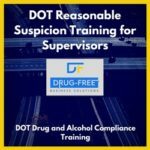 Our DOT Drug Testing Supervisor Training includes all of the content in our DOT Reasonable Suspicion Training for Supervisors. 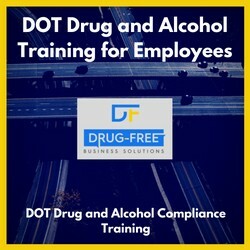 DOT Drug and Alcohol Training Program for Employees is for employees who are subject to DOT drug and alcohol testing. Get the program in either online or CD-ROM format. Each of our DOT programs above includes several courses. Some of those courses are listed here. 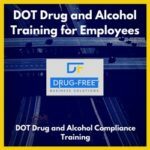 This course covers DOT pre employment drug testing for the designated employer representative. We also cover FAA pre-employment drug testing and FMCSA pre-employment drug testing.